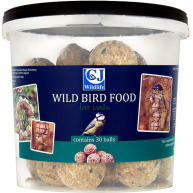 Johnston & Jeff Premium Wild Bird Food is the ultimate all year round mix. 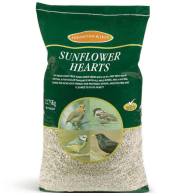 Free from wheat and husk, but containing a high proportion of sunflower hearts that are taken by almost all birds, are also high energy and an easily digestible food source. 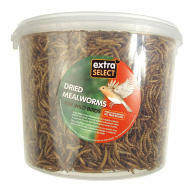 This proper seed mix contains 10 other ingredients plus around 20 different types of naturally occurring wild seeds. 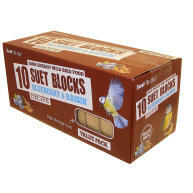 Also containing suet pellets, which are high in energy, with the yellow pellets containing insects (insectivorous protein) and the red pellets containing berries (Vitamin C and antioxidants). 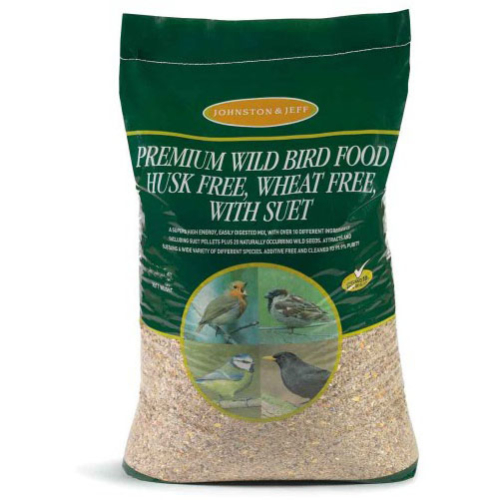 Naturally occurring wild seeds attract the small beaked seed eating birds and they also benefit from the natural groats, millet and peanut nibs. Aniseed oil and vegetable oil are also in this mix.